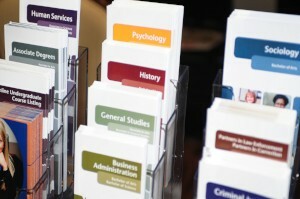 Brochure printing is a cost efficient way to convey a message and make a lasting impression. Brochures are versatile and get a business one step closer to meeting its objective. Often used for trade shows, conventions, direct mail advertising, and for point of purchase that yield a return on investment. Bestype Imaging located in the heart of Manhattan specializes in providing local business owners with full color brochure printing and design services in NYC. If a budget is an issue, we offer black and white printing services. Ask about our flexible folding and finishing choices to add a finishing touch to your set of brochures. As a leading brochure printing company in New York, Bestype Imaging offers rush brochure printing services for clients that have a sense of urgency. Our staff is committed to providing brochure printing rush services and all around customer service. Bestype Imaging can take your ideas, words, or images and print eye-catching promotional pieces. Or, if you already have print-ready art, we can print or copy your document on a variety of stocks.